1. Read completely "Pro JPA 2: mastering the Java Persistence API" by Mike Keith, Merrick Schincariol. Pro JPA 2.0 is very well written, highly recommended. 2. Completed all four tests in Enthuware's JPAD 6. 3. Read completely JPA 2.0 specification. JPA 2.0 specification is a Bible for this exam - must read. 4. Read second time Pro JPA 2.0. 5. Completed again all four tests from JPAD 6. Important: make sure you read all explanations from Enthuware's JPAD 6 - it has questions similar to ones you will get on the exam. All simulator's questions are relevant to the exam. 5. Locking optimistic/pessimisic. Know by heart all LockModeType values. 9. @Version and bulk updates - what possible problems might occure. 13. Pessimistic lock - escalation from read to write when writing to DB. 15. How to add managed classes to Persistent Unit (add to persistence.xml OR orm.xml). Remember that within container (EAR, WAR, EJB-JAR) managed classes discovered automatically. 16. What object is used to create TypedQuery? 17. Multiple Persistent Units in EAR. How can entities access each other (and when they cannot)? Can Persistence Units within EAR have same names? 18. UserTransaction. What methods when can throw which exceptions. 22. What options provides JPA for composite primary keys (@EmbeddedId, @IdClass)? What is the difference? 24. Canonical Metamodel Classes: how fields look like in them (single property, collection property, list property,...)? 25. Know what mappedBy and targetEntity used for. Congratulations, Mikalai and thanks for the feedback on the exam. I am sure it will help a lot of people. On your score report...what is meant by 'Optimize database access'? 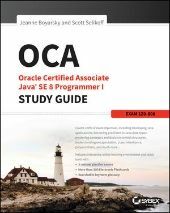 I can't translate it to any exam topic of JPA 2 as specified on the Oracle website. Dennis Grimbergen wrote: Congratz Mikalai Good work! I prepared not by objectives (since they are porely defined), but just by JPA 2.0 specification. Read it completely. I have tried to search some information about this certification and I found something about EJB 3.1. Could you somebody tell me if there are some objectives from EJB 3.1 it this certification. I haven't experiences with EJB and this could be problem for me and maybe not . Here is my score report attached.